Don’t have time to visit the Bank? 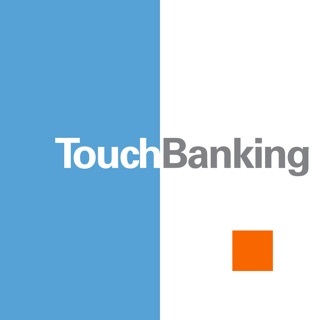 Have your Bank come to you. Now you can take your banking on the go with the convenience of the free M. Y. Safra Bank mobile app. 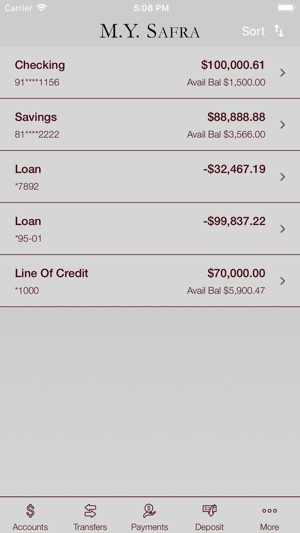 Check your balance, view transaction history, transfer money, pay your bills, and even make deposits, right from the ease of your mobile device. 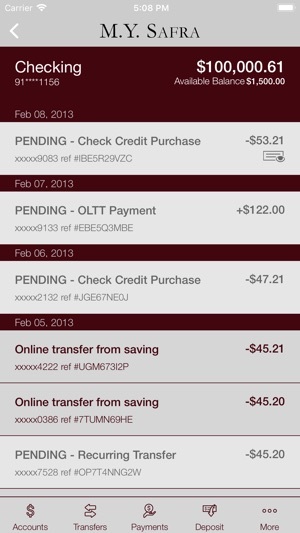 Have complete access to your accounts 24/7, right from your iPhone® or iPod touch®. 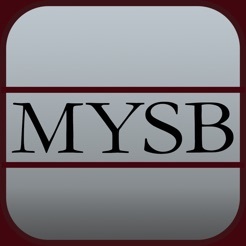 The M. Y. Safra Bank Mobile Banking App is free, safe, and secure. 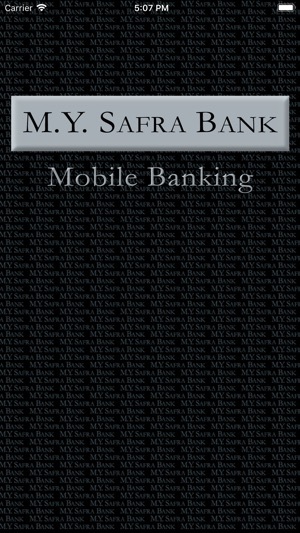 To begin banking from your mobile device, simply enroll in M. Y. Safra Bank online banking by visiting www.mysafra.com and clicking the enroll button. 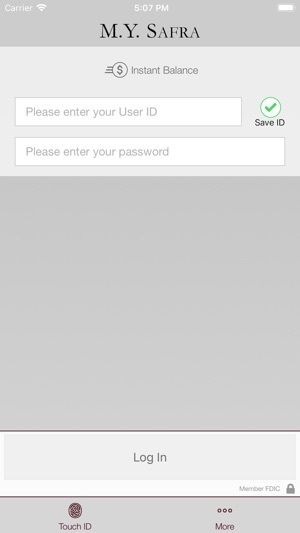 Then use the same User ID and Password to log into the mobile app. You can also call us at 212-652-7200 and have a Customer Service Representative assist you. • Not near a Branch or ATM? M. Y. Safra Bank reimburses for your first 10 non-M. Y. Safra Bank ATM withdrawals. Up to $30 per statement cycle. There is no charge for download from M. Y. Safra Bank, but message and data rates may apply. Such charges include those from your communications service provider. Delivery of alerts may be delayed for various reason, including service outages affecting your phone, wireless or internet provider; technology failures; and system capability limitations. Any time you review your balance, keep in mind it may not reflect all transactions including recent debit card transactions or checks you have write. To use Bill Pay, you must first enroll for the service in online banking. 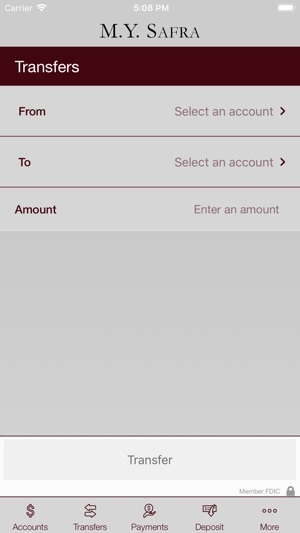 Mobile check deposits are subject to verification and not available for immediate withdrawal. DEPOSIT PRODUCTS OFFERED BY M. Y. SAFRA BANK, FSB. MEMBER FDIC. This version includes enhanced notifications and messaging, bug fixes, and more.